Please call or email for individual pricing on commissioned pieces. 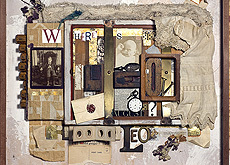 This mixed media collage on canvas was commissioned by New York Litigator, the official Journal of the New York State Bar Association. 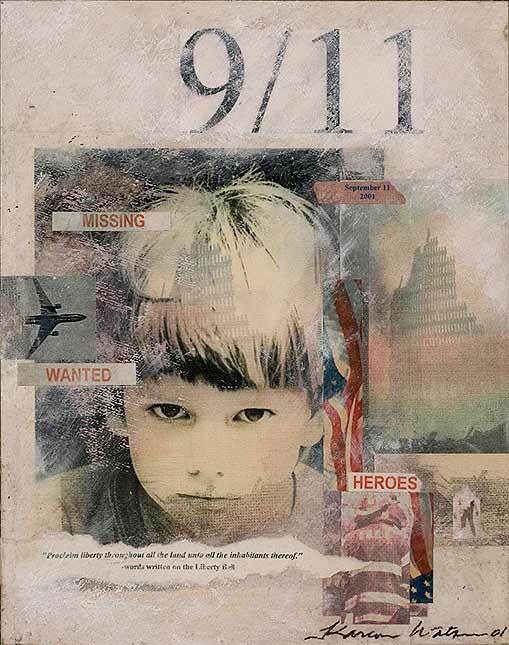 The piece was commissioned to be the cover of the journal directly after the tragic events of September 11, 2001. 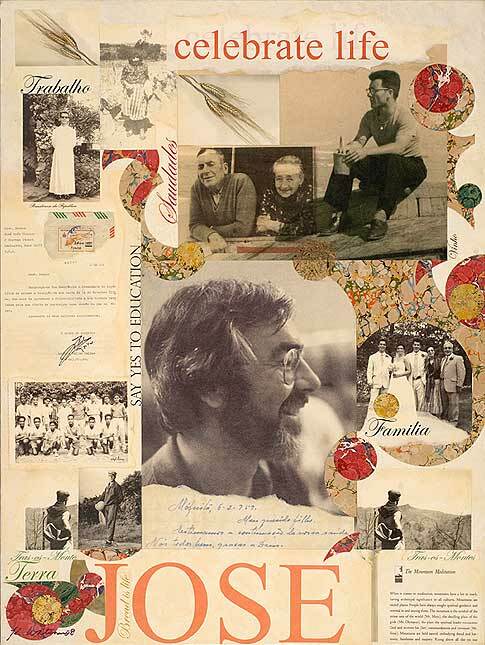 This mixed media collage on canvas celebrates the life of Jose. It was commissioned by the family to be given to Jose upon his retirement from a long and honorable career. I worked closely with the family, learning about Jose’s life and his story. I went over many photographs, documents, and family “artifacts” collecting material and images to create a portrait of Jose and his indomitable spirit of life. 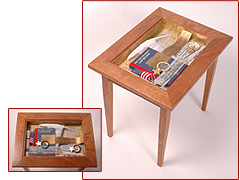 I collaborated with Artisan Woodworker John Chambers on this commission. The table was commissioned by Luke’s father to be a gift to Luke to honor his accomplishments as a young lawyer. Luke authored an article which was published in the New York University Law Review Journal. Parts of his article were cited by the US Supreme Court in making a federal ruling. 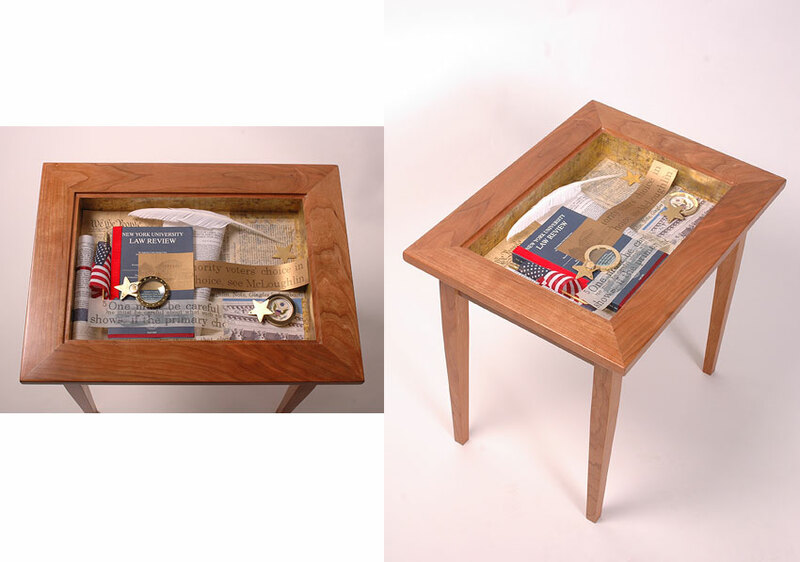 John and I designed a cherry table with an indented box at the center, in which I created a three dimensional assemblage using Luke’s writing and American icons – the Constitution, fragments of the American flag, and Supreme Court imagery. We installed glass over the assemblage, which became the table top. I collaborated with Artisan Woodworker John Chambers, who designed and built the wooden frame for the mirror, which was commissioned by a loving aunt to be a wedding gift. I met with her and learned the stories of Mark and Valerie, who they were, how they met, what they were like. 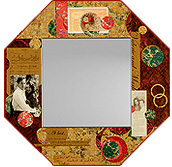 I collected photos and artifacts from the family, added my own words and images, to create a beautiful heirloom gift of art, love and marriage. 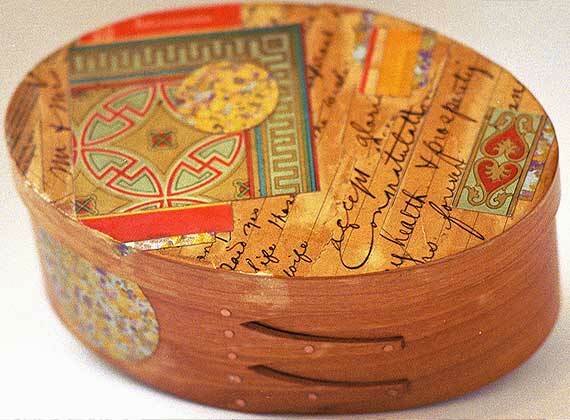 This simple collaged box was commissioned as a small decorated wedding gift, and was later used to hold the rings during the wedding ceremony. 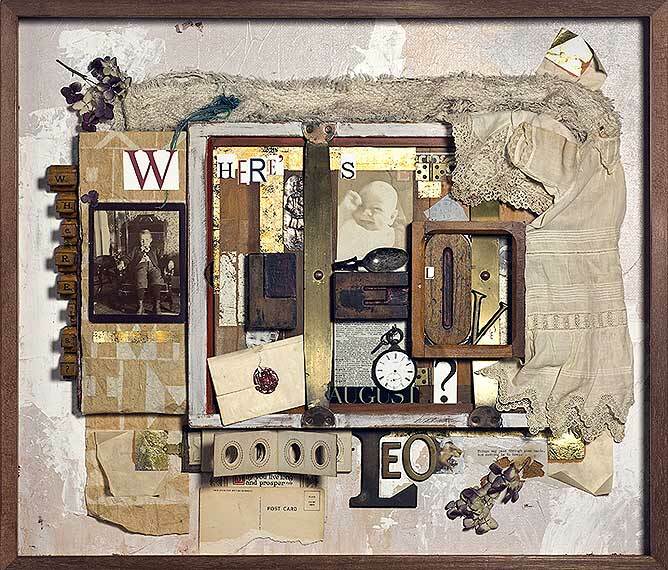 This mixed media assemblage was a private commission for a family who was expecting a baby. I looked through many family photos and artifacts and assembled them using fabric, paint, words, clocks, and antique wooden letters. The title, "Where's Leo" came from the fact that the baby was to be born in August, under the sign of Leo.